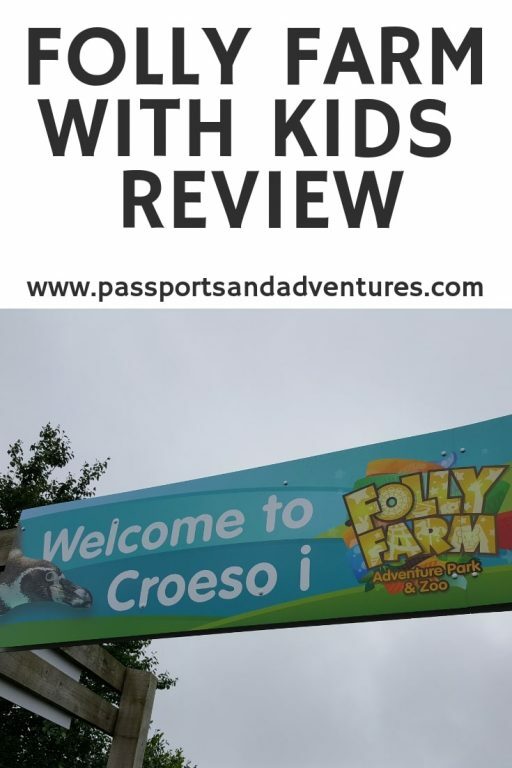 While on a long weekend away at Bluestone in West Wales, we visited Folly Farm for the first time. The name can be deceiving but it is a great family day out in West Wales. 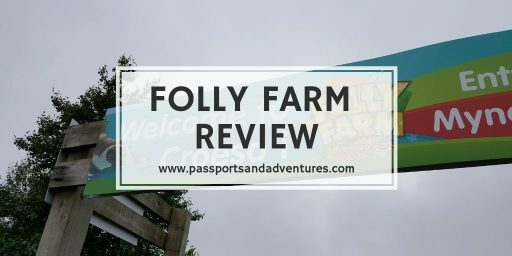 Here is our review of visiting Folly Farm with kids. 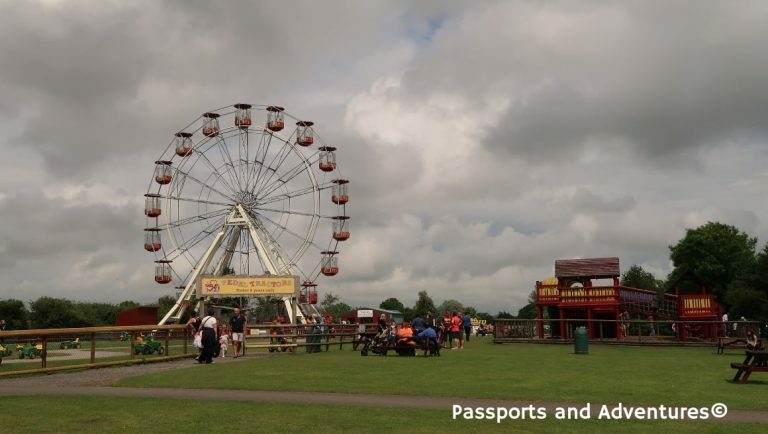 Now I’ll admit when I first heard the name Folly Farm, I automatically assumed it was a small petting farm similar to Cefn Mably or the Small Breeds Farm, and when it first opened back in 1988 I wouldn’t have been far off. 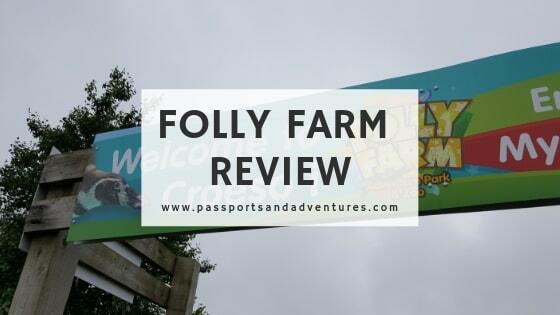 However, that assumption is now way off the mark as Folly Farm Adventure Park and Zoo, to give it its full name, is a hell of a lot more than the name Folly Farm suggests. 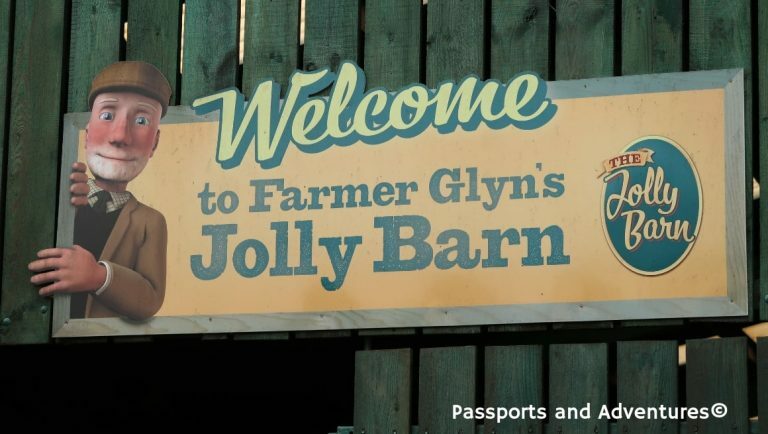 Winner of the “Best Day Out” in the National Tourism Awards Wales in 2015, and a 2015 Traveller’s Choice on TripAdvisor, Folly Farm is an amazing place situated in Begelly in Pembrokeshire, West Wales, not too far from Tenby or Bluestone. 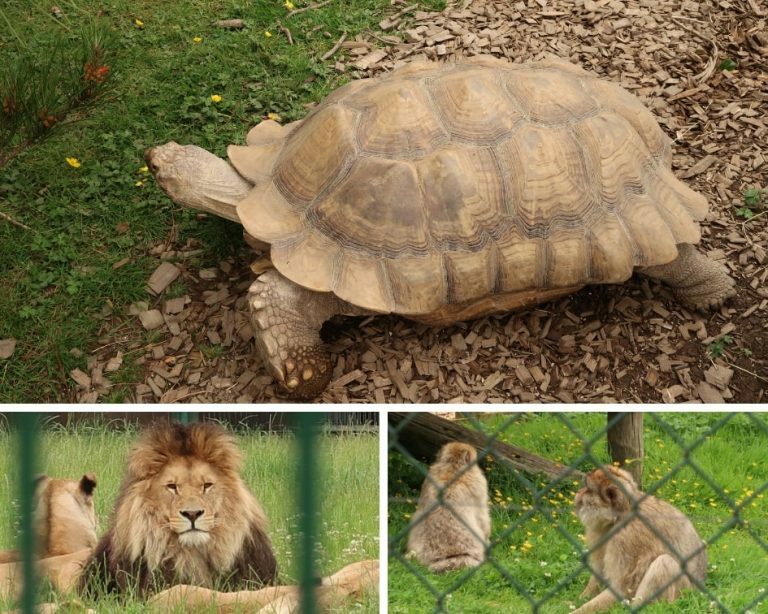 It is not only a farm but also has a full indoor vintage funfair, an award-winning zoo with over 200 species of animals and extensive indoor and outdoor adventure attractions and play areas. On our visit to Folly Farm we arrived shortly after its opening of 10am, parked our car and made our way to the entrance where our friends sorted out our tickets, courtesy of Tesco Clubcard vouchers. We passed the huge gift shop, which both of us mums commented we’d visit on the way out, and out we went into Folly Farm itself. 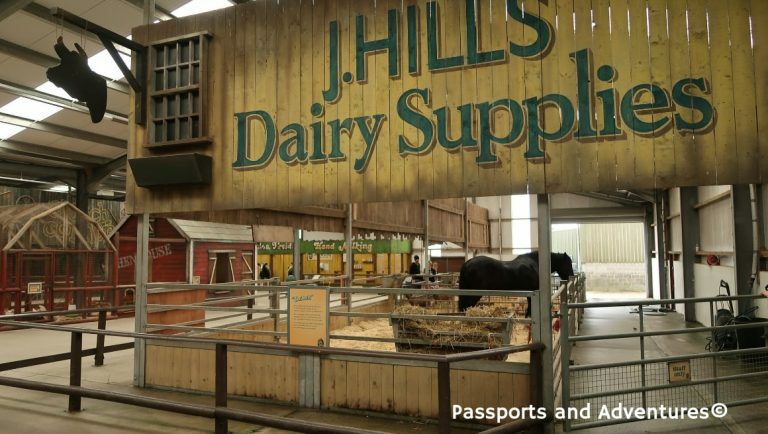 First stop was the Jolly Barn & Farm, an indoor barn that houses farm animals including pigs, sheep, goats, donkeys, chickens and the most magnificent Shire horse. He was amazing and very majestic looking. Our son had a great time running around shouting “oh piggy, oh chicken” while doing the noises they make. I even got brave and touched a rat during the “meet a rat” time although our son was having none of it at first until the handler said he was going away and then he just had to touch it! 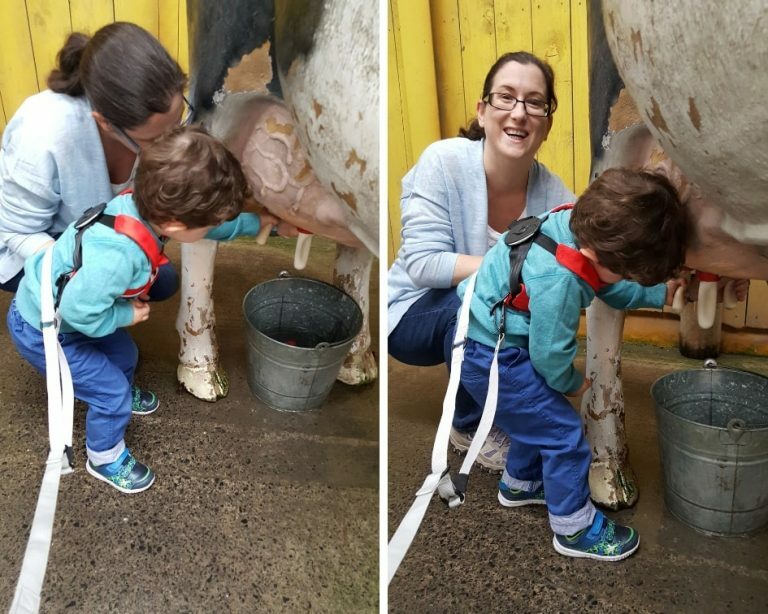 I then showed our son how to milk a cow which he thought was hilarious as he squirmed milk (water) over himself and me. From the Jolly Farm we decided to visit the vintage Funfair as it was getting close to lunchtime. We got change and tokens and then proceeded to get frustrated trying to win Batman teddies on the grabber machines from the boys. £5 later we were still empty-handed despite getting them in the grabbers a number of times. The arms just let go too easily. This was our only disappointment of the day. My hubbby was sure we’d get one after spending £5 but no! After this we wandered around the amusement rides and us mums took the boys on the Ghost Trains. I’ve never been one for these types of rides but I’m fast coming to the realisation that I have to start doing them for our son’s sake. I was also a bit apprehensive about how our son would react to it but I just made a fuss of the flashing lights and the ‘dragons’ and he was fine, shouting “peep peep” ala Thomas the Tank Engine. After the ghost train I took our son on the carousel which he really enjoyed. We didn’t get to see all of the Funfair as it is huge and our bellies were rumbling. We decided to have lunch in the Funfair Restaurant and my jacket potato was tasty, while my husband thoroughly enjoyed his fish and chips. Our son ate his garlic bread and only picked at his pasta Bolognese, too distracted by the lights and sounds around him. He is also not a huge fan of pasta shapes, preferring spaghetti instead. Before we left the Funfair the adults tried their hands at the Side Stalls, knocking tins off shelves and Duck Bingo. Mr Passports actually knocked all his tins off during one of his goes and won a large blue dragon for our son. He tried his best to repeat it to win our friend’s son one but ran out of tokens. With lighter pockets and satisfied bellies we made our way to the zoo and first up was some monkeys and the lions. Our son loves lions from his “How to Hide a Lion” bedtime stories and didn’t want to leave their enclosure. We then saw the Tapiers, Giant Tortoise, Meerkats (Kalahari Critters) and the camels before making our way to the Rhino enclosure. To our surprise there were not one but two Rhino enclosures and they were huge. 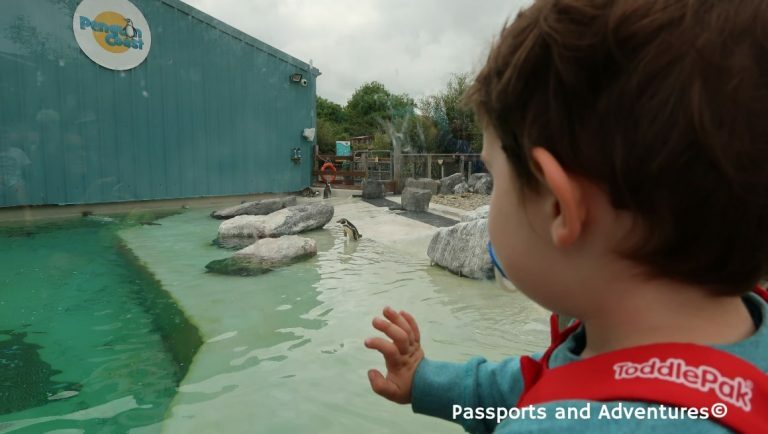 After the rhinos we went to show our son the pen-pens (penguins) and flamingos. He loves pen-pens as some of you know from our Oliver Jeffers book “Lost and Found” and I literally had to drag him away. After the penguins we quickly made our way to see the giraffes. I’ve always found them to be majestic looking animals, so graceful. From the zoo we went to the outdoor adventure area where our son made a beeline for the pedal tractors, picking the largest one he could find. He is still learning what pedals are all about and usually goes backwards more than he does forwards, as you do when you’re two. From there we went to the sand diggers while we waited for the Big Dig attendant to return and our son loved them. He actually managed to operate the two levers on his own! 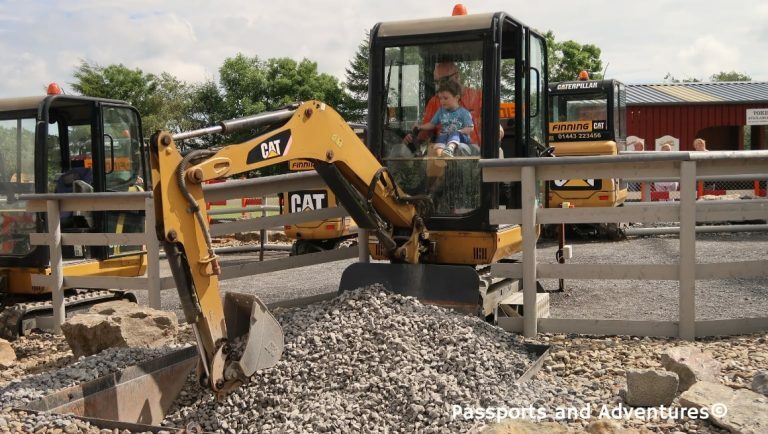 Once the attendant was back the Dads handed over their tokens and spent the next few minutes living out their dreams of operating diggers. Boys never grow up. However my hubby didn’t get much hands-on experience as our son kept swiping his hands away shouting “no dada, Ada do it”. Al I could do was chuckle as I filmed it. After the diggers and another quick visit to the sand diggers we started thinking about heading for home. We passed by the go-karts and our son had an absolute canary fit when we explained the cars were too big for him. He was both hugely disappointed and overtired, having not napped all day. We said he could do them next time but it’s unlikely as well be back before he’s old enough. We stopped at the gift shop and got some pick’n’mix and I got one or two other little things too. Our son only then fell asleep in his buggy, pooped after a big day out. It was 4.30pm so hardly surprising he couldn’t keep his eyes open any longer. I couldn’t believe that it was 4.30 before we headed for the cars. 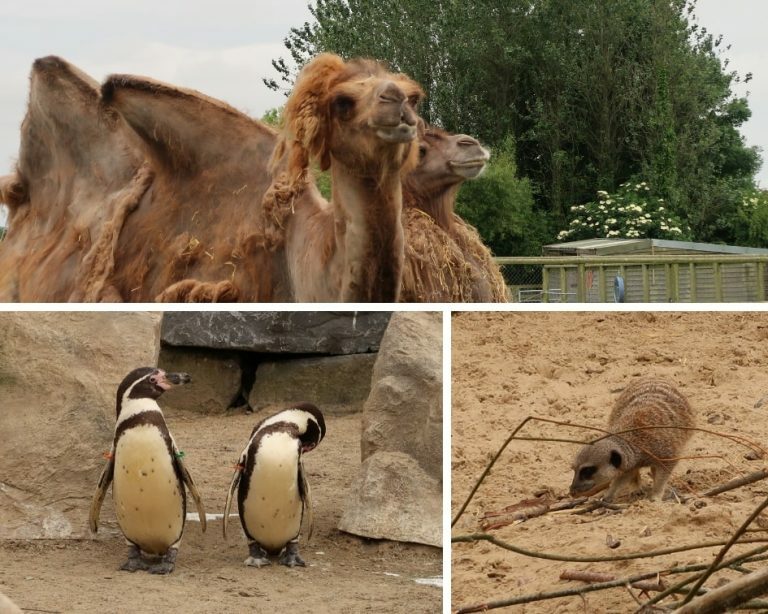 I certainly hadn’t anticipated spending the while day at Folly Farm but it’s so easily done! As I’ve mentioned Folly Farm outdid my expectations and I was pleasantly surprised by everything Folly Farm has to offer. 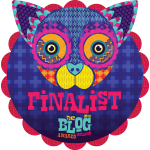 It is no wonder it is an award-winning day out. 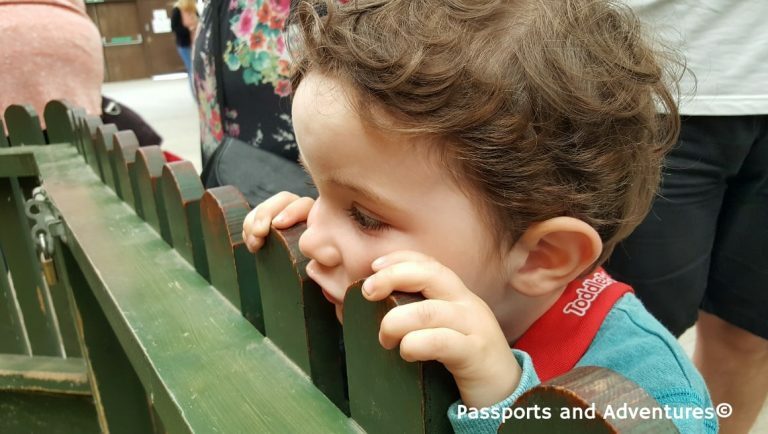 There is plenty to do and see for all age groups and lots of places to eat too which we thought were reasonably priced. There are extra charges for certain things like the Funfair and diggers but they are reasonable. 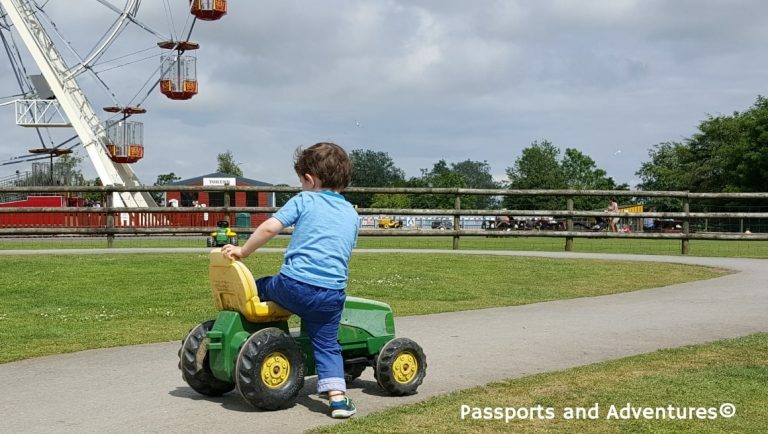 Folly Farm is family friendly as you’d expect and also wheel chair accessible. 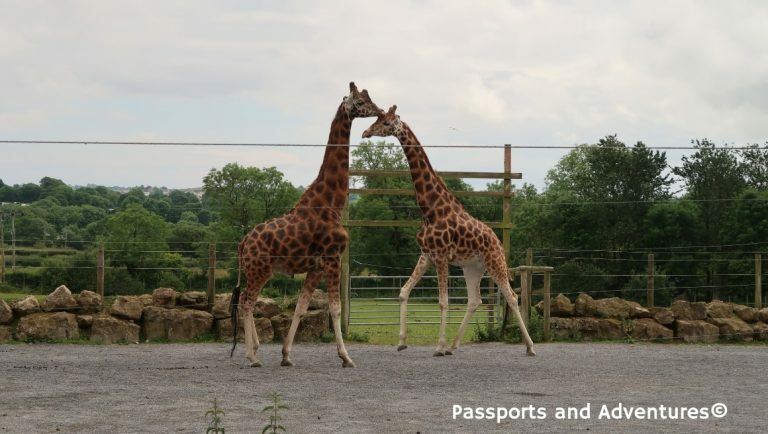 There is free parking there, baby changing and feeding facilities and a large gift shop too. Prices, as shown below, are great value-for-money in my opinion and, as our friends did, you can use your Tesco Clubcard Vouchers towards Folly Farm tickets. We will definitely be visiting Folly Farm in the not so distant future. 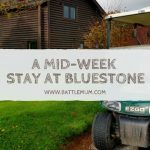 So if you are based in South Wales or are visiting Pembrokeshire on holidays, such as Bluestone, then I can highly recommend a day out at Folly Farm, especially if you have children! General Opening Hours are 10-5/5.30. Winter Opening hours are generally 10-4. Adult prices are £16.50. 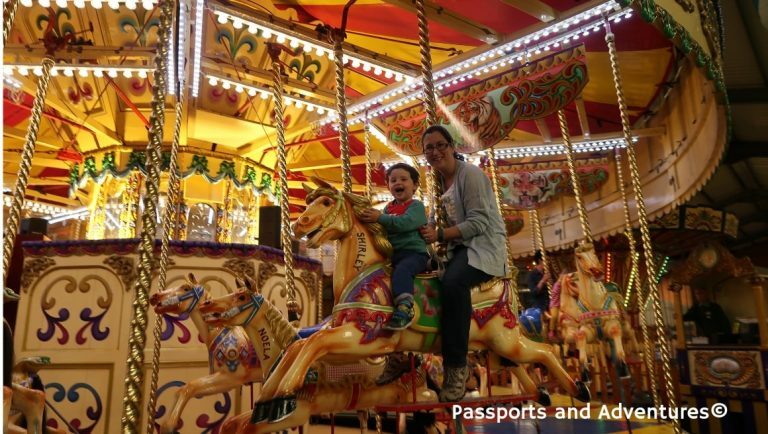 Children between ages 3 and 15, senior citizens and disabled adults prices are £14.50. Disabled children and disabled seniors are £12.50 and toddlers aged 2 cost £10.50 (disabled toddlers are £9.50). Children under age 2 go free. We totally love Folly Farm! No matter what the weather!! It’s such a great place to visit. Not too big but with a lot to see. We spent hours watching the Penguins. Our little one loved them! Great post, you obviously had a great time. God that place looks outstanding! It really is amazing. I was so surprised at the size of it and everything they have in it! Love folly farm! Great for all ages and in all weathers too! We live close by so have a season ticket, money well spent! Looks like Battlekid really enjoyed it too!